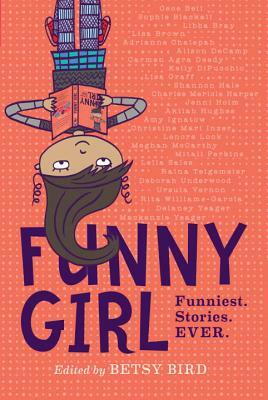 This is Episode #32 and today, as promised last week, I’m sharing with you a conversation with Betsy Bird – librarian, host of the new Fuse 8 n’Kate podcast, and the editor of the fabulous new short story anthology called FUNNY GIRL! 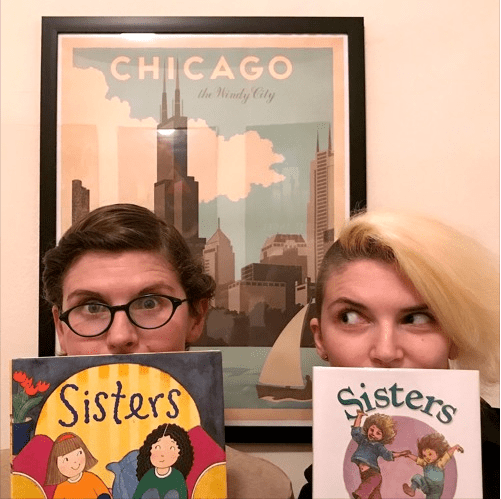 We chat about the book, what makes her laugh, our least favorite picture books, and, and……I challenge her to a fart noise contest! For those listening who may or may not be familiar with you, can you give us a little introduction of who you are and what you do in the world of children’s literature? Where does the name Fuse 8 come from? Once this project was a go, how did you go about finding authors to contribute and what was your criteria when you pitched the idea to them? Have you read any of the stories with your own kids ? So, you’ve mentioned that girls are often discouraged from using humor as a coping mechanism. In your own life – either now or as a kid – what were some times when using humor has helped you? Aside from stories like those in Funny Girl, what are some things that make you laugh? What’s your sense of humor like? So you have a new podcast! What made you decide to jump back into podcasting? What is a popular picture book that you don’t like? As a parent, how do you make time for reading with your family? And what does that that look like? Where do you see a gap in the world of children’s books? Akilah Hughes’ YouTube Channel – Akilah, Obviously! Alright – that wraps up our show this week. We have some great topics and interviews and book talks coming up including some thoughts on building a community of readers, conversations with Celia Perez about The First Rule of Punk, and Alan Gratz about Refugee AND Ban This Book. So be on the lookout for those. And if you have a question or an idea about a topic we should cover, I would love to hear from you. You can email me at booksbetween@gmail.com or connect on Twitter/Instagram at the handle @Books_Between. Thank you so much for joining me this week. You can find an outline of interviews and a full transcript of all the other parts of our show along with all of our previous episodes at AlltheWonders.com. And, if you are liking the show, please help others find us too by telling a friend, sharing on social media, or leaving a rating on iTunes or Stitcher. Thanks again and see you soon! Bye! Great episode – I very much enjoyed the interview with Betsy Bird. I’m so glad to hear, too, that I’m not the only one who doesn’t care for Dr. Seuss! I thought it was just me!